This Christmas cactus in my home has bloomed three times since Thanksgiving! One of the things I’ve been thinking about is health. I wonder why some of us (me included) wait so long in our lives to develop and maintain good, healthy eating habits. At the same time, how is it that many of our parents had horrible eating habits (by today’s standards), yet still managed to live until they were 90 or more years old. Yet today, with all the health information available, many people die in their 60s or 70s. I keep thinking that maybe it’s because of all the pollution and food additives, as well as to the stress we put ourselves under by working 24 hours a day. What do you think? Another thing I’ve been curious about is why we are cruel to each other. Here are some examples. 1. We have bullying in schools (of course, it’s always been that way, but now it’s coming to the attention of many people who either hid their heads in the sand or who chose to look the other way). 2. Many children totally disrespect their parents by the way they talk to them in the United States, but in Asia, most kids do not do that. 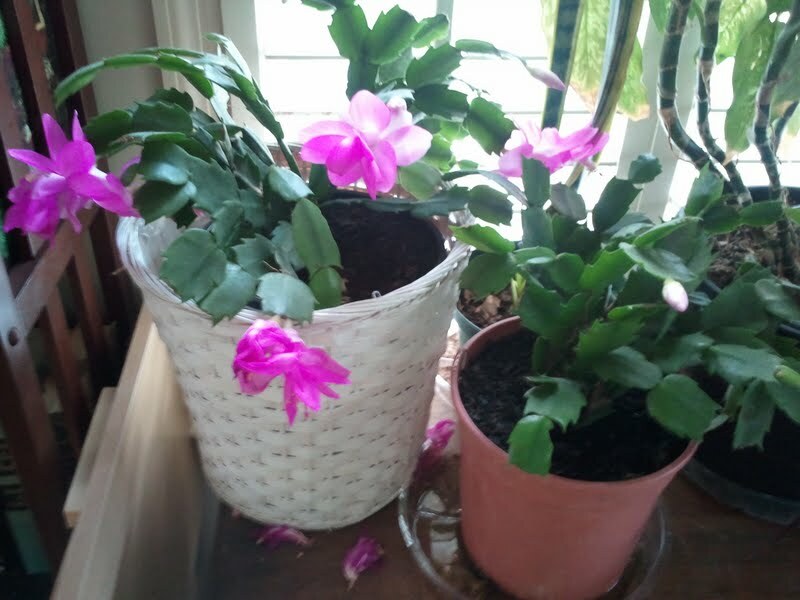 And one more thing – why has my Christmas cactus bloomed three times since Thanksgiving last year? lol – I sure do love these plants! Anyway, I guess that’s enough for tonight. It seems that it’s been so long since I wrote a blog – another trip to the hospital and the days just fly by. But I’m out now and really paying attention to eating more healthily and using some natural remedies to help God heal me! (Not that He really needs any help, but I think you catch the drift!). Have a blessed day and week and month and year. And please, please let me know what you think of any of these things – either by email or by leaving a comment!